The skeleton of a 46-year-old man identified as Sikiru Yusuf was found in his room seven months after he was declared missing. 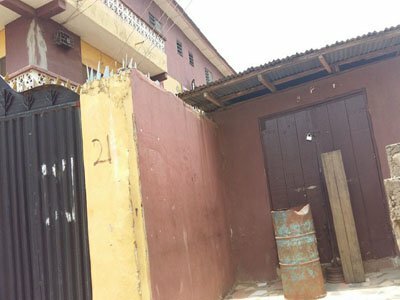 Yusuf, a resident of 21, Jaiyesinmi Street, Aga, Ikorodu, was discovered by his elder brother, Alhaji Basiru Yusuf, who at the instance of the deceased’s landlady, came to pack his property. The Nation gathered that the nature of Yusuf’s job usually took him out of town for two or three months before he would return. Hence, no one raised an eyebrow when he was not seen in the first three months, during which the stench from his decomposing corpse was passed off as a dead rat’s smell. When he was not seen for about five months, it was learnt that his family members at Ikosi in Ketu were notified and they assumed he might have travelled. But the landlady grew impatient by the seventh month, requesting that his family should evacuate his belongings from the room, since he had not shown up. This prompted the senior Yusuf to visit his brother’s residence at about 12:30pm on Monday and forced the door open in the presence of the landlady and other residents. As soon as the door opened, it was gathered that the family members and the tenants saw the skeleton of the occupant on the floor, with a rope beside it. They said this suggested that he might have committed suicide. “At first, we thought he must have gone for his job, which usually kept him away for two or three months. But we became worried and contacted his family when we did not see him after some months. “We went to his family at Ikosi in Ketu and asked after him. But they too said they have not seen him and that he probably travelled. When it was seven months, his brother now came and said they would pack his things since no one has seen him. “They broke the door and that was when his skeleton was found on the ground. We also saw a rope, which means he might have committed suicide. “There was a time we perceived bad odour, but we thought that a rat might have died somewhere. The smell lasted several days. No one even thought it could be a dead human being,” she said. The deceased’s brother was said to have rushed to Ikorodu Police Division to make a report and a team of detectives, who followed him back to the scene, evacuated the body. It could not be ascertained if the deceased was married or have children, as his neighbours said he lived alone in the apartment. “The complainant said he was invited by his brother’s landlady to evacuate his belongings because he absconded and locked his room and parlour apartment up for seven months. “However, when the door was forced open, it was discovered that the said Sikiru Yusuf had died long ago as his skeleton was found on the floor.